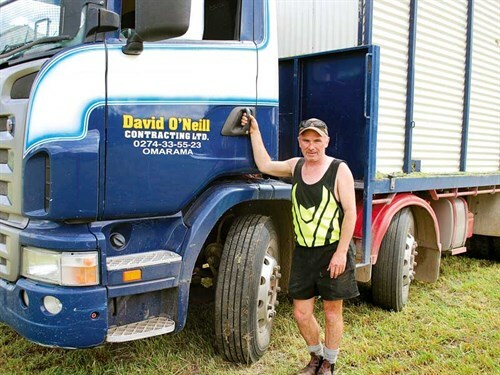 David and Prue O’Neill have 16 tractors and 10 trucks driving their Central Otago business, David O’Neill Contracting Ltd. 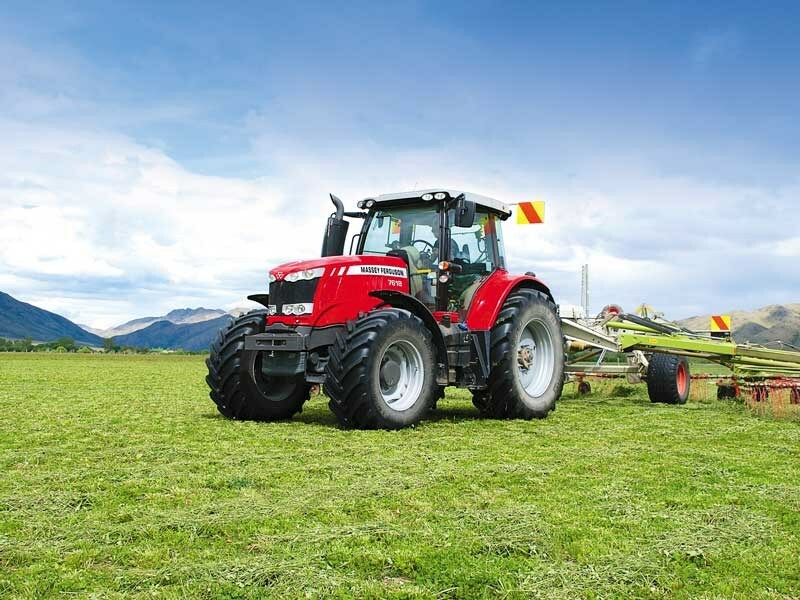 Included in the impressive line-up are eight Massey Ferguson and seven Fendt tractors, all from JJs Timaru. 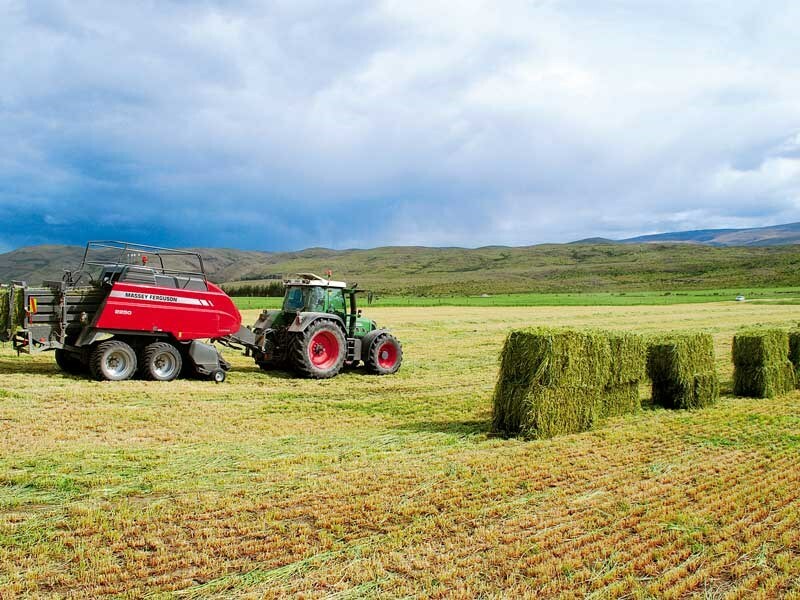 Based in Omarama with its fleet of tractors, David O’Neill Contracting provides a full range of services, including cultivation, baling, silage, direct drilling, and mulching. At the height of the season, the business employs up to 22 staff. David grew up on a farm in the North Island and his father always had a Massey Ferguson, so naturally that was the first tractor he bought. "I started contracting when I was 16," he says. "I had two tractors when I was still at school." Since then, he has owned more than 20 Fergies. His oldest is a 2002 MF 8240. It is 180hp and has worked 13,000 hours. "I keep it because it is a good old, simple tractor. I don’t use it much now, but it can do anything and it is a backup." Another Massey Ferguson used as a backup tractor is a 2008 MF 7495. It used to run the triple mowers, but now it tows a heavy roller and does some discing. The newest is a 2015 MF 7618 with a Dyna-6 transmission. It spends most of its life pulling a four-rotor rake. The three latest – the MF 7618 and two MF 7622 – feature the up-to-date SCR technology to cut exhaust emissions and improve fuel economy, and David says they are as fuel-efficient as his Fendts. He started buying Fendt tractors about 10 years ago. "They are supposed to be the best, so we trialled one and kept it for six years. Then we got another." For several years in a row, he added one or two more to his fleet. David says he likes the reliability and comfort of his Fendt tractors as well as the 50kph road speed. His drivers travel up to 110km to get to clients, so the road speed matters. And the Vario transmissions in the Fendt tractors make every job easier. "Drivers generally stay with the same tractor and adjust it to suit themselves. They also save the settings for particular implements." David O’Neill Contracting’s clients are mostly sheep and beef farmers with paddocks on the flats. The paddocks are usually quite large, which means David has wide implements such as a 5m direct drill. The heavy work is done with the four large Fendt tractors, which are 240–270 hp. The oldest one is a 2010 Fendt 818. "It does a bit of mulching, and we might chuck it on the square balers or the triple mowers. It runs the cultivator drill and it weighs 6.5 tonnes empty." Recent additions include a Fendt 824 and Fendt 927. The 927 runs the 5m direct drill for most of the year, putting in up to 3000ha. During winter, it switches to the 4.5m cultivator. Hydraulic oil flow is 120 litres/min, which is more than enough for anything David needs. "Three of our drills are air seeders and all have hydraulic fans. The fans can be going 14 to 16 hours a day and the Fendts handle all that hydraulic power as good as gold." Another plus is the comfort of Fendt cabs, which makes life easier for all drivers. "Fendts have the most comfortable cabs out of all the tractors I have ever owned or driven. The 900 Series models are far superior with its independent front suspension. It’s so good that you want to keep going," David says. Fendt have SCR systems to reduce exhaust emissions and gain corresponding savings in fuel. "Our drill man goes three days on a tank." All of the Fendt tractors have front linkages, which are used to run the triple mowers, push-off stacker or for carrying front weights. "You can drive a Fendt and not worry about the computer stuff and settings. You just drive it like a manual car. It’s easy to get a driver started on them and then teach them the fancy stuff later. "They don’t need to know it at the beginning. You don’t need to be an astronaut to drive a Fendt. I am still learning about them and guys driving them three years or more are still discovering new things they can do," David says.